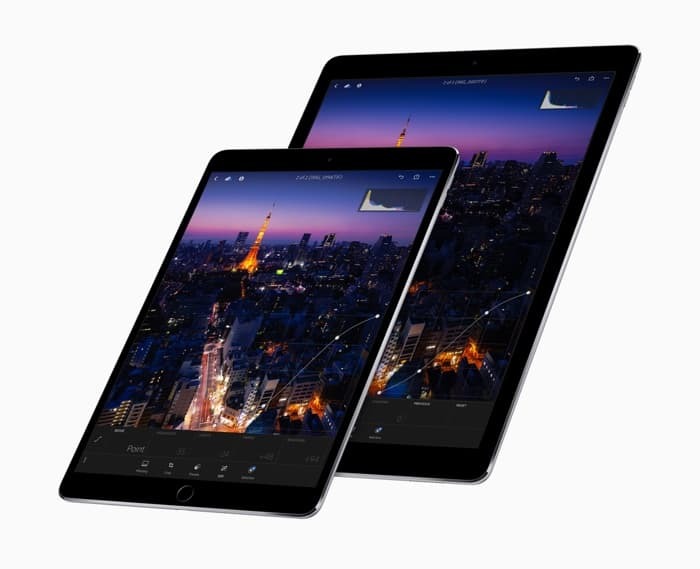 The 10.5 inch iPad Pro launched in July of last year and now Apple has started to sell refurbished versions of the tablet in the US and Canada. Prices for the refurbished iPad Pro start at around $549 so basically there are discounts of around $100 off the tablet if you buy the refurbished model. There are a number of different models available including both WiFi and cellular models. As a reminder the new iPad Pro comes with a 10.5 inch LED display that has a resolution of 2224 x 1668 pixels. The tablet is powered by a Apple A10x processor and it comes with a choice of 64GB, 256GB or 512GB of included storage. The 10.5 Inch iPad Pro has front and rear cameras on the back of the handset there is a 12 megapixel camera that features Optical Image Stabilization and has a six element lens. This camera is capable of recording 4K UHD video. On the front of the tablet there is a 7 megapixel FaceTime HD camera qhich is capable of Full HD video in 1080p.